The Digital Arts Sharing Program (DASP) aims to address the detrimental lack of functioning and affordable projectors in the city of Calgary. Through a successful funding application to the Calgary Foundation and the Government of Alberta’s CIP Program, Ghost River Theatre is proud to be embarking on a game-changing new initiative to provide the arts community of Calgary with an important tool for innovative and inventive theatre-making. This program, managed fully by GRT, will offer accessible rental rates, provide training, and address the gap in access to projection technology that is currently available. In larger terms, it will allow artists to continue to utilize this form of artistic expression to enrich their practices and expose Calgary audiences to an important creative tool for aesthetic storytelling. Our goal to provide artists with high quality, cutting edge projection technology at a fraction of the cost of other rental companies. We also aim to be as transparent as possible with our rates and policies. Click here to learn more. If these rates pose a financial challenge to your project, please contact us. Need some advice on setting up your projection project? Don't feel confident climbing up a ladder with a projector? Want to know what software is best or how to use it? Concerned you aren't getting the best quality out of your work? We offer in person, phone or Skype consulting with a technical consultant or video specialist. Contact us for more information. Well suited for most projection environments. Unless otherwise requested, all projectors come with this lens. This is a short throw lens, best suited for situations where the distance between projector and screen is limited. *Note there is only one of these lenses available. Please request well in advance to ensure availability. Each projector kit comes with a HDMI to SDI adapter and 100 foot coaxial cable. 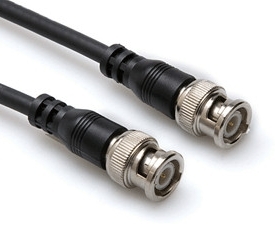 This adapter allows you to send a video signal over long distances using very affordable coaxial cable (RG-59) with a BNC connection. Because the projector has an SDI input, the conversion is only necessary once. Note, in order to use this method of connection, you need an HDMI signal out of your playback device. Don't worry if you don't have one though, there are options. See F.A.Q. for more details. 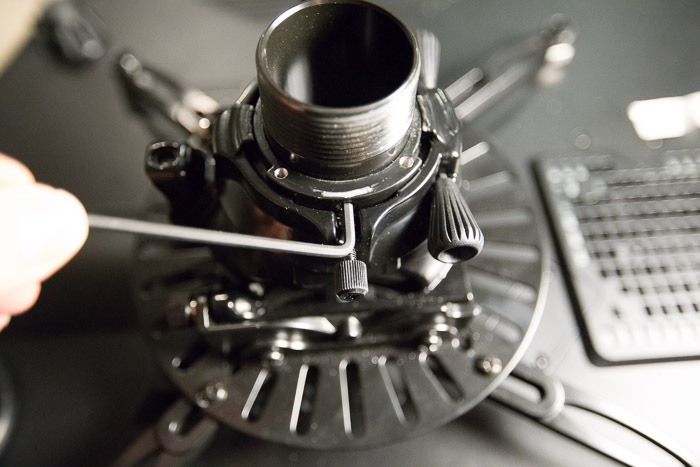 The included mount kit allows the projector to be hung from a grid. The extender rod adds 16.45" - 24.33" to the drop distance. 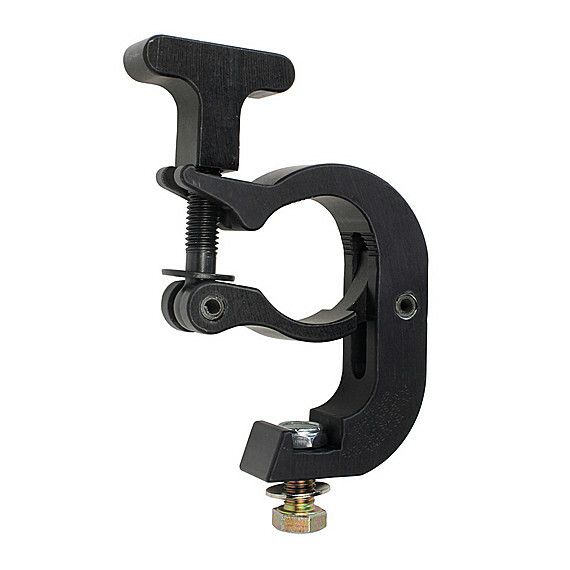 This mount does not come attached to the projector but is very easy to install. See our Learn section for more information. Everything fits into a road case for easy transportation. Yes it has wheels! Weight : 70 lbs when loaded. Make sure you're aware of what is included with your rental. You need insurance before renting from us. This unfortunately is not negotiable and the equipment cannot be picked up without proof of insurance. Want to know more about this? Read here. Please understand that we are an arts organization and not a large rental company. We do not have permanent staff working in rentals, and thus have to bring in someone each time a rental is made. For this reason, we ask that you kindly show up at the agreed upon time to collect and return the equipment. Fill out the rental form. We will contact you within 3 business days. At this point we will request a 50% deposit that can be paid by e-transfer, credit card or personal cheque. More information is available in our Rental F.A.Q. It costs us time and resources to process requests and cancellations. Cancellations may also prevent us from renting to other people. For these reasons we have to charge a cancellation fee. Any cancellation made before 1 month prior to rental date will be charged $75, the remaining deposit will be refunded. Cancellations made later than 1 month prior to rental date will be charged $100 the remaining deposit will be refunded. 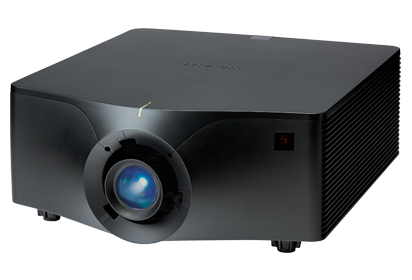 There are four projectors available. 'Busy' means that one of them has been booked. If there are two 'busy' dates on the calendar, then two projectors are already booked, but two are still available.The only time there are no projectors available is when there are four 'busy' items on a given calendar day. If you are having problems viewing this calendar, it may be because of your browser or installed extensions. Try opening this page in another browser. Please do not use this form to ask questions. Contact us here instead. Rental prices are determined by a sliding scale based on annual operational budget. If you are an individual artist select first option. If you are a for profit company please contact us. Briefly, describe what the equipment will be used for. Where will this equipment be used? We will get back to you at the provided email within 3 business days. Complete video tutorial series coming soon. We offer customized training sessions on video design, projection technology, sound design and audio technology. You can also email us at dasp@ghostrivertheatre.com.